Point2 Homes gives you far more than a simple list of houses for sale. Get instant access to a lot of relevant information about Newfoundland and Labrador real estate, including property descriptions, virtual tours, maps and photos. The search results pages also have a wealth of information on Newfoundland and Labrador, if you scroll all the way down. There are 3,578 houses for sale in Newfoundland and Labrador. 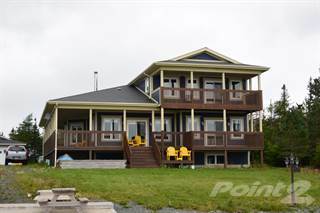 Searching homes for sale in Newfoundland and Labrador has never been more convenient. 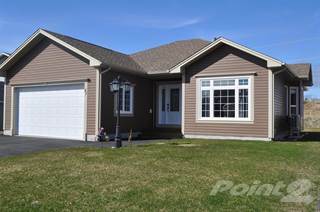 With Point2 Homes, you can easily browse through Newfoundland and Labrador single family homes for sale, townhomes, condos and commercial properties, and quickly get a general perspective of the real estate prices. Also, you’ll never miss a bargain if you filter listings based on house price drops in the past six months. Use the map view to find Newfoundland and Labrador homes and apartments for sale, based on amenities or city features that you may want close by. You can close in on a specific neighbourhood or area by simply drawing around them with the polygon or radius tools. Stay informed about the latest entries on the real estate market by saving your searches. This way, you get new listings in your inbox, daily or every week, based on your preferences. If you’d like to get in touch with a professional, agents are displayed next to their listings, and they’re easy to contact through the online forms. If you want more options, you can click the Tools tab and Find an Agent, and you’ll get a list of helpful and knowledgeable real estate agents in Newfoundland and Labrador. Visit the Point2 Homes blog and you can find up to date expert advice on many markets throughout Canada, regular market reports, neighbourhood scoops in cities throughout the provinces, real estate deals and useful recommendations. Newfoundland and Labrador is a Canadian province located in the eastern portion of the country and bordered by the province of Quebec to the west, the Atlantic Ocean to the east, and the Gulf of St. Lawrence to the south. The province is part of the country’s Atlantic Region, which also consists of New Brunswick, Prince Edward Island, and Nova Scotia. Newfoundland and Labrador covers 405,212 square kilometres, about 7.7% of which is water in the form of lakes and rivers. The province is made up of two parts: Newfoundland, which is an island, and Labrador, which is part of the Canadian mainland and which shares its land borders with Quebec. Newfoundland and Labrador’s population is over 510,000 people, and the province is the ninth most populated in the country. Its capital is St. John’s, which is located on the island of Newfoundland. The province has a large number of residents of English descent, and nearly all residents cite English as their first language. Other large ethnic groups in the province include Irish, Scottish, French, and First Nations. Newfoundland and Labrador experienced economic struggles following the federal government’s decision in the early 1990s to cease cod fishing in the area temporarily, due to dwindling numbers of the fish. The economy has since improved, and fishing is still a large contributor and includes cod, haddock, halibut, herring, mackerel, and shellfish (crab, shrimp, and clams). A newer form of the fishing industry in the province is aquaculture, which is the farming of seafood such as Atlantic salmon, mussels, and steelhead trout. Other industries include mining, oil production, paper manufacturing, food and beverage production, tourism, and agriculture. Agriculture is limited to certain areas of the province due to climate and other factors, and includes potatoes, rutabagas, turnips, carrots, and cabbage, as well as wild blueberries, partridgeberries, and bakeapples. Dairy, poultry, and eggs are also produced. Service industries such as financial services, health care, and public administration are the largest contributors to the local economy. Newfoundland and Labrador has a number of provincial parks, which provide recreational opportunities such as hiking, fishing, camping, biking, and wildlife watching. The majority of these parks are on the island of Newfoundland, and these include parks such as La Manche Provincial Park, on the southeast tip of Newfoundland; JT Cheeseman Provincial Park, located on the southwestern tip of Newfoundland; The Arches Provincial Park, near the northwestern tip of Newfoundland; and Pinware River Provincial Park, which is on the southern tip of Labrador. The province also has three national parks: Gros Morne National Park, Terra Nova National Park, and Torngat Mountains National Park. Historical sites in Newfoundland and Labrador include the Cape Spear Lighthouse, located in Newfoundland, which is the oldest surviving lighthouse in the province; forts (Fort Amherst, Fort Townshend, and Fort William), which were established by European settlers; a number of churches, such as St. John the Baptist Anglican Cathedral; and small museums and preserved properties such as Winterholme, which showcases the Queen Anne Revival style in Canadian architecture. Arts and culture activities can be found throughout the province, but especially on the more populated island of Newfoundland. The Rooms, the province’s largest public cultural space, features the provincial archives, an art gallery, and a museum, while the Railway Coastal Museum focuses on railway history in the area. Newfoundland and Labrador is home to the Newfoundland Symphony Orchestra and Opera on the Avalon. Visiting Salmonier Nature Park and whale watching are also popular activities. Festivals include the Gros Morne Theatre Festival, the Newfoundland and Labrador Folk Festival, the North West River Beach Festival, and the Fish, Fun and Folk Festival. St. John’s, with a population of over 100,000, is Newfoundland and Labrador’s largest city, as well as the province’s capital. The city is located on the southeastern tip of Newfoundland, along the coast of the Atlantic Ocean. It is home to many of the province’s largest companies, as well as numerous arts, cultural, and recreational activities/events. Conception Bay South has over 24,000 people and is located west of St. John’s. Mount Pearl, with over 24,000 people, is located next to St. John’s. There are over 19,000 people in Corner Brook, which is located on the west coast of Newfoundland. 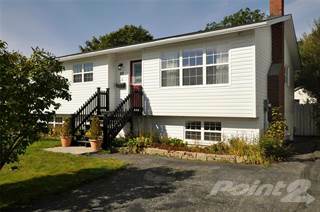 Paradise is located between Conception Bay South and Mount Pearl, and has over 17,000 people. In Labrador, the northern part is less populated and offers fewer real estate options. The southern portion of Labrador has a mix of more expensive and affordable single-family homes (some of which include at least a single garage), commercial spaces (including industrial), and vacant land. In the northern section of Newfoundland, single-family homes come at affordable prices, particularly smaller, older homes. Commercial spaces, many of them industrial, are available in this part of the province, as is vacant land (some of which is on the coast). Most of Newfoundland and Labrador’s real estate can be found in the more populated cities in the southern portion of the province. Prices for single-family homes in this area vary depending on whether the homes are older or newer builds (with newer builds fetching higher price tags). Many single-family homes are on larger lots and often include a garage. Commercial space is available in this section, as is vacant land. Newfoundland and Labrador has two school districts, one English and one French. Schools in these districts follow a curriculum developed by the province, and some schools have both English and French classes for students. There are several private schools in Newfoundland and Labrador, and these schools are also required to follow the provincial curriculum. The Memorial University of Newfoundland is the only university in the province, and has campuses at two locations. It is the largest university in Atlantic Canada. There are also two major colleges in the province: Academy Canada and College of the North Atlantic. Other post-secondary options are available through adult education classes and private specialty training.